Sherwood Dental is proud to offer anxious patients an alternative to fearful dental experiences. Sedation dentistry at our office involves a high-dose sleeping pill to induce a calm, relaxed state. Our dentists are qualified to administer oral sedation as well as Nitrous-Oxide sedation. We just require that you have some bring you to and from your appointment if taking oral sedation as you cannot drive afterwards. 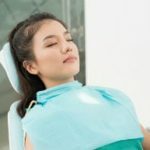 You can use sedation dentistry during any type of treatment, including routine general dentistry checkups and cleanings as well as smile-enhancing cosmetic dentistry procedures. Who Is A Candidate Of Sedation Dentistry?